I have horrible handwriting. I love forms. They help me keep track of what I’m doing. For stuff I hand in to my school district, forms make my scribbling look official and professional. Here are a bunch of forms I’ve created for myself and for my friends. Some might work for you too. Some might not. You might want to keep some kinds of records just for yourself, and others to hand in to your school district. Please read PA's Home Ed Law or your own state's law, to see what is required and what is not, and to help you decide which forms suit your family's interpretation of the law. Feel free to use whatever works for you, and ignore the rest. Most of the forms from my site are in .doc format for Microsoft Word, and .pdf format for Adobe Acrobat. Some are also in .html format. If you use the Microsoft Word versions, you can alter the forms to suit yourself. For your convenience, in some cases I have also included links to forms on other sites. Counting "school days" in a homeschool can drive you crazy - many homeschoolers don't divide their lives cleanly into "school" and "not-school". However, some states, including PA, require that homeschoolers provide 180 days of instruction. Here are some attendance charts to help you document your "school days". See my Days/Hours page for a discussion about PA's requirements. Don’t get too hung up on this, OK? Standard Attendance Calendar <- Most popular for PA portfolios! This style is a yearly calendar. It looks a little strange at first – the months are listed down the side, each with boxes for the 1st through the 31st of that month. No days of the week are listed. Just check the days that are “school days”. Add up the days for each month in the last square, then total them at the bottom. This is my most popular attendance calendar, and I frequently see it in other people's portfolios! This style simply lists the numbers 1 to 180 in a grid. You can just check off each day until you get to 180. If you want to keep track of the dates of your school days, just write the date in the appropriate square. This is a simple form, quoting the law and stating that you have met the requirements. One page for just attendance, one page for attendance and subjects, and one page for graduation. These calendars, from www.printfree.com, are in a more traditional format. They clearly show days of the week, and cover July through June. You can check off each school day. If desired, you can use a code to indicate special events (S = scout camp, etc.). The simplest way to keep a list of books. Space for date and title of each book; about 30 books per page. Space for student name and school year at the top. Nice quote from the law about the portfolio requirements, and statement that the log was kept “contemporaneously with the instruction”. For keeping track of books. Space for 9 books per page. Nice for kids who keep a log – there’s space for their large writing! List of required subjects at the bottom of the page. Text from the law on the log at the top of the page. File also includes a nice cover page for the log, with law quotes. For keeping track of books. One page per subject. Can be used in the portfolio to show coverage of minor subjects like Safety and Health. For keeping track of which books were used on which school day. (This one would drive me nuts, but someone asked for it, so here it is. To each his own.) Print one page for each month. If you feel the need to log which books were used on which days, this is the simplest way to do it. The simplest activity log style I offer. It’s just the days of the month, 1 to 31, down the side of the page, with space to jot brief notes for each day. Can be used for one or two children. You will need to print one page for each month of school. This is best for people who only need to jot down one or two brief highlights per day. One page covers a week of school, Monday through Sunday. Jot down notes in the square for each day. Space at the bottom for a book list. This style is nice for giving a child assignments and checking them off when you’re done. You will need to print a page for each week of school. One page covers a week of school, Monday through Sunday. PA required subjects for the elementary level are listed in small print on each day – jot down notes, then circle the subjects you’ve covered. An easy way to remember what you’ve done, especially in the minor subjects. You will need to print a page for each week of school. Check off the subjects you’ve done each day of school. Print one page per month. The file contains two pages, one with elementary subjects and one with secondary subjects. These folks offer software to keep track of assignments, book lists, attendance days, and tons of other stuff. It takes a while to learn, but I like it. The basic edition is free; the plus edition is $49. Homeschool Tracker seems to be the dominant choice in this market. There have been others in the past, but they seem to have gone by the wayside. Homeschool Chronicles and E-Home Journal appear to be no longer available. Homeschool Easy Records Software was another; their web site, http://www.dataplus.biz/HER/ is no longer active. You might be able to download the software here; update information is here. "The program is now "trialware" which means you download it, try it, then register to make it fully functional." I don't know if it is still possible to register it. I have not used this one. It was about $40. See my Affidavit & Objectives page for links to affidavit forms and sample objectives. See my Compulsory School Age page for a letter to exempt children ages 6-8 who live in the Philadelphia School District. See my Private Tutor page for a packet of the correspondance needed for this option. These forms are designed to be submitted with the PA affidavit. See my Affidavit & Objectives page for more info on PA's medical, dental, and immunization requirements. A simple form for declaring a religious or philosophical exemption to the medical, dental, and/or immunization requirements in the PA home education law. Have your health care provider sign this form as evidence of the various medical screenings and exams required by the PA home education law. Your dental care provider can sign this form as evidence of the dental exams required by the PA home education law. PA law requires that students who have been identified as special ed must have their home education program pre-approved. The approval must be submitted with the affidavit. See my Affidavit & Objectives page for more info on special ed pre-approval. A simple special ed pre-approval form. Includes a quote from the PA home education law about the pre-approval requirement. PA law requires that students be evaluated at the end of each school year. See my Evaluations page for more info. A simple evaluator’s report form. Can be used as-is for a short evaluation, or as a cover page for a longer evaluation. An evaluation report form designed to mimic the official Garnet Valley form, but with several items that are not required by law removed. Many families in the district use this form instead of the one Garnet Valley hands out. See also the sample text here. This is a two-page summary of the PA Home Education law that I wrote to use as a handout at homeschooling information nights. If you are holding such an event, or if you want something to hand new homeschoolers that sums it all up in a brief format, feel free to use this. It gives a brief summary of various parts of the law, and refers readers to various pages within www.askpauline.com for more information. It is designed to be printed on the front and back of a single sheet of paper. It may also be useful if you want to inform someone (state representative, school board member, etc.) of the basic requirements in the Home Education Law. Updated as of February 2014. Updated to reflect the October 2014 changes to the home education law. See also the law quotes for the portfolio, below under Portfolio Helps, and the private tutor law packet, on my Private Tutor page. A couple of handy things for the portfolio. See my All About Portfolios page for more info. These are designed for a 3” EZ-Vue binder. Slip them into the cover and the spine for an instant professional look. If you use the MSWord version you can customize them. The cover page can also be used as the title page for a disposable portfolio. I love to quote the law on documents I submit to the school district. It’s a reminder to everyone what the law actually says. It makes it clear that I know the law and intend to comply with it. This is a one-page summary of the parts of the PA law that relate to the end-of-year paperwork, including the evaluation, contents of the portfolio, definition of “appropriate education”, instructional time required, and the required subjects. Updated to reflect the October 2014 changes to the home education law. NOTE: You may wish to attach a copy of this page to your evaluator's certification when you turn it in to the school district, highlighting the statement that the portfolio no longer needs to be submitted to the school district. Version one and version two are both in .doc format. You will need to fill in your own information and modify them to fit your own situation, but they should give you a good start. Be sure to save your final version on your computer, so you can use it to create a new one next year. Though it is not required by PA law, some people like to write a brief summary of how they have covered the various required subjects. I have collected a few examples of summaries and logs, to give an idea of what they can look like. See my new portfolio summaries page. Every now and again a homeschooling parent may want to produce a report card for their student, usually to meet an outside organization's one-size-fits-all requirements. Here are a few forms to choose from, or get ideas from these and create your own! From justmommies.com. Three formats to choose from, each of which is 4 pages long (1 sheet, front and back, folded in half). Choose from "four semester", "six term", and "non-traditional". These are very nicely done. From donnayoung.org, here is another six term report card. A simple one-page report card, from printablehomeschool.com. Includes space (but not much space) for subject, grade, conduct, curriculum, and comments. These forms are designed to be “portfolio fodder”, to show that you’ve covered a particular subject. Discuss fire safety, then fill in the worksheet. I’d take several days to do this with a younger student. There are many other fire safety worksheets & materials available on the internet. See my Fire Safety Resources page for lots of links, including ideas for quite young children (coloring pages) and older kids (more complex fire safety information and activities). See also my Fire Safety page. Sometimes it's handy to have membership cards for your small homeschooling group or co-op. Modify this file to include your support group or co-op's name, then print a copy - this is your master. Take the master to a copy shop and get it copied onto colored card stock. (Each page will make 10 membership cards, so you may only need a few copies.) Cut out the cards. Fill in members' names and the current school year, and distribute to your members. For working on the "th" and "f" sounds. Play this ancient board game! Great for a Middle Ages unit study! This is a fancier print-and-play version of this popular game. Nice to print out and bring it along when you travel. A simple Nim game to print and play. Print out this picture, cut out with fancy-edge scissors, and glue to the front of a blank card. Voila! 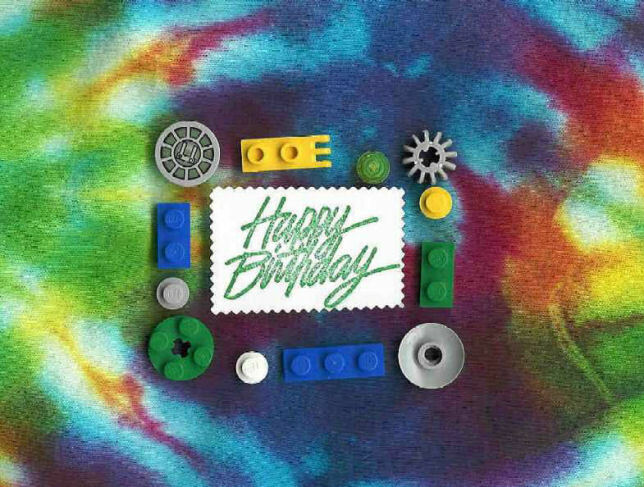 Instant birthday card! If you're picture-printing savvy, you can print it on 1/4 of the page, then fold to create the card. Print out this picture, cut out with fancy-edge scissors, and glue to the front of a blank card. Voila! 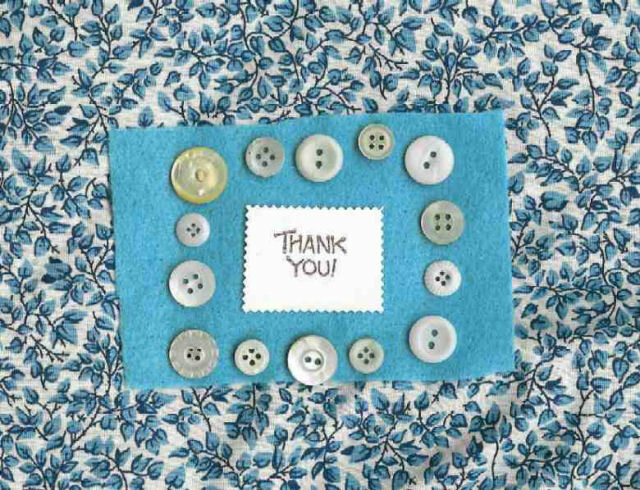 Instant thank-you card!